Almost everything about Serena Williams appears to be a curious contradiction. The perfectly manicured, fashion-obsessed glamour girl image off the court is the polar opposite of the fiercely competitive and emotional person that she becomes the moment she steps on court. 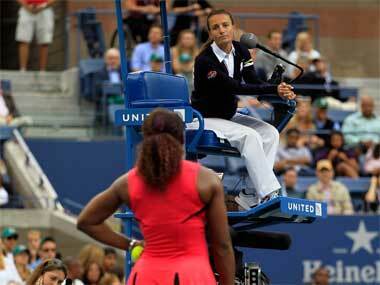 She will be remembered for her tirades at the officials, most famously in the US Open final last year and the US Open semi-final in 2009, but she rarely argues line calls, and even apologises if she incorrectly challenges a decision. She also splits followers of ladies tennis into two separate fields. Her detractors argue that she shows little appreciation for the game of tennis that has brought her the fame and fortune. Her recent comments that she does not really love tennis will simply add fuel to the fire. Her fans argue that she is one of the greatest talents to play the game. 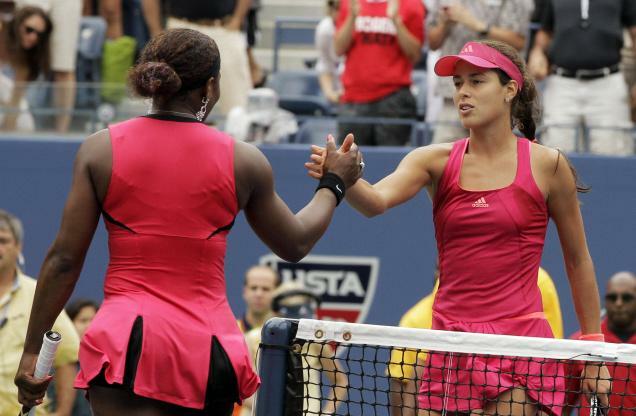 The fate of the likes of Hingis and Capriati, both of whom burned out far too young, supports Serena’s decision to play a much-reduced schedule. However, despite her long and regular absences from the game, the expectations on her shoulders when she does step on court are unlike anything else. There is almost no other player who could miss several months, then return as one of the strong favourites for a Grand Slam title. Last summer at Wimbledon, she lost to Marion Bartoli in what was only her second tournament after eleven months out of the game. The same Marion Bartoli that is a top 10 player and former Wimbledon finalist. Yet, the shock at the result spoke volumes. Despite all the circumstances, no matter how much tennis she has missed, nobody expects Serena Williams to lose. Ever. She certainly has the X-factor that almost no other player in the ladies game seems to have. Whenever she does not play, the result is always tempered by the fact that Serena was not there. When she does play, you often feel that the majority of opponents are beaten before they step onto the court. She has that presence on court. Whether it is her build, whether it is her list of honours, whether it is simply the buzz around the ground when she plays, there is a degree of intimidation for her opponents. Ana Ivanovic has admitted as much. The most stand-out quality that Serena possesses is a supreme confidence in her own ability. The key lesson that she learned from her father is simple – that she was born to be the best. Her game is certainly helped by her serve – almost unrivalled in the history of women’s tennis. However, the most important aspect of her game is her fighting ability. She has such unshakeable confidence in herself. Whatever the situation in a match, she never accepts that she is beaten. Indeed, she rarely gives an opponent credit when she wins – she believes that every match is on her racquet. If she has lost, it is because of how she has played, rather than how her opponent has played. If she plays well, she will win. That is her mind-set. No questions, no doubts. Could it be a gender issue? Could it be a racial issue? Or is it just a Serena issue? Is it that we don’t expect to hear the kind of things that she is saying from a woman? That women should be more lady-like in such situations. Could it be the fact that to a predominantly-white audience, her actions appear more threatening? If one of the other top players – say Maria Sharapova or Caroline Wozniacki – had said the same things, would the reaction have been different. The commonly-held stereotype of the angry black woman that has been built through popular culture could have influence the reaction to Serena’s outbursts. Race issues have always bubbled under the surface throughout the career of Serena Williams. The constant references from commentators, fans and pundits alike to her ‘brute strength’ and ‘intimidating presence’ all have racial undertones, while her long-running boycott of the Indian Wells tournaments show she is not afraid to stand up for her beliefs. Regardless of everything though, it is impossible to understate the impact that she has had on the women’s game. She has recently entered her thirties, but few would bet against her adding to her 13 Grand Slam titles. Even if she plays little outside these tournaments, she will still be in the elite group of players that are talked about as potential champions. It all goes back to the constant contradictions. Beauty and power. Perfectly manicured, yet fiercely emotional. Most importantly, predictable, yet unpredictable. Every time she steps on the court, you know exactly what you are going to get. Yet, you also know anything could happen. It is riveting television. It is the attention that only one player can draw. That player is Serena Williams.